We have a wide range of financing options in the current marketplace, including everything from revolving credit lines to installment loans. But that financial diversity can make it both easier and more difficult to find the right way to finance a purchase. When should you use a credit card? When would a loan be the better option? Many factors go into determining the best financing solution for a given situation, starting with what you need to finance, as well as your current debt to your individual credit profile. But, too often we turn toward the ease and convenience — and, sometimes, perceived rewards — of credit cards when a personal installment loan may actually be the best fit. In fact, there are some cases in which a personal loan is not only a good choice, but it may also be the most affordable one. First, it is important to understand how personal loans differ from other types of loans you may already have obtained because personal loans are unlike most other loan types. To start, personal loans can be used for any purpose you choose. This means you can use a personal installment loan to consolidate credit card debt, other loans, even medical bills — whatever debts you have that need to be consolidated. Or, you could use it to pay off other debts, like backlogged utilities, or to finance a much-needed home repair. Some lenders may require you to give a reason for the loan as part of the application or to verify that you’re not borrowing the money for any illegal reason. Our top-rated lending networks can help you find a compatible lender for a variety of purposes. In contrast to personal loans, many loans are restricted to very specific purchases — a mortgage loan is earmarked specifically for a home purchase, for instance, and an auto loan can only be used to purchase a vehicle. Part of why other types of loans are limited to specific purchases is due to the fact that most of these loans are secured, meaning the loan is backed by some form of collateral, typically the thing being purchases. With a mortgage loan, for example, your property is the collateral and would be put at risk if you default on your loan payments. What makes personal loans different is that most personal installment loans are unsecured loans, meaning you don’t need to provide any form of collateral. While this can be good — you won’t be risking any money or possessions — it also makes personal loans harder to obtain with bad credit than other types of loans. 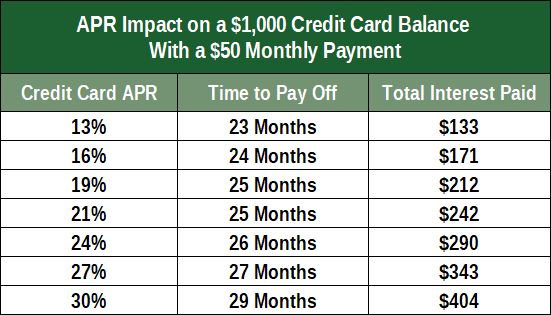 Many credit cards start out with shiny intro-APR deals with attractive interest rates for the first six months or so — then, abruptly, the promotion ends and the rate increases. That means your 0% interest rate can suddenly shoot closer to 20%, potentially leaving you with a big balance that’s now accruing interest at an alarming rate. And, of course, without an intro-APR offer, most other cards, particularly entry-level and store credit cards, have high interest rates right from the get-go. As a result, you could be paying interest almost from day one — and credit card interest compounds daily. If you are in credit card debt — like 41% of American households — taking on yet another debt may (rightly) be the furthest thing from your mind. But if you’re drowning in high-interest credit card or other debts, using a personal loan to consolidate your debts at a lower interest rate may help you get a handle on your finances by reducing interest fees. For example, consider Hypothetical Hank, who has debt spread across four credit cards, as in the table above. Hank is currently being charged an average APR around 22%, which costs him more than $150 a month in interest. If he can find a personal installment loan with an APR below 17.99% that is large enough to pay off all of his credit cards, he could potentially save hundreds of dollars in interest fees. In addition to helping you save money on interest fees, consolidating debt with a personal loan can also be an effective way of organizing your debt. This can be especially helpful if you have balances across multiple credit lines and are having trouble keeping track of each bill and due date. Of course, consolidating debt through a personal loan isn’t ideal for everyone. If your credit score is very low, you may have trouble finding a personal loan with a lower interest rate than you’re already being charged. But, even with bad credit, consolidation may be an option with the right loan. Although it’s never a good idea to rely on any kind of loan to pay your bills, in some cases, taking out a personal loan to avoid missing an important debt payment can be worth the risk. For one thing, late payments come with late fees, and late fees can add up quickly depending on the bill. Although being a few days late generally won’t impact your credit, any payment that is more than 30 days past due can be — and nearly always will be — reported to the credit bureaus as delinquent. 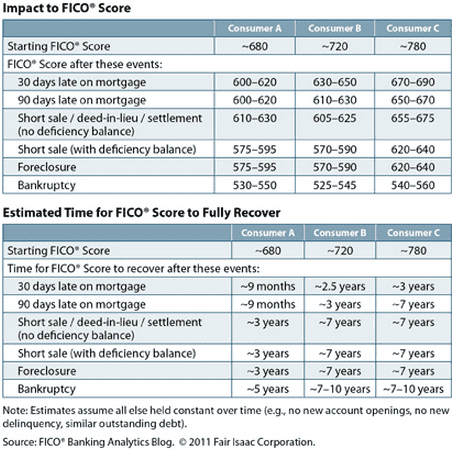 Even one delinquent payment on your credit reports can drop your credit score by dozens of points, as shown in the FICO chart below. 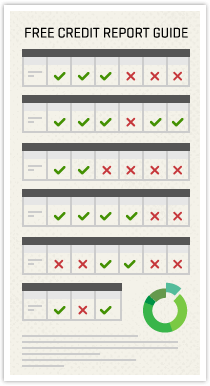 The better your credit score starts out, the more negative impact you’ll see from a delinquent payment. And the amount of credit damage can increase dramatically as the delinquency ages. Once your payment is 180 days delinquent, your account will be closed and charged-off — which is a bad thing. If you’re on the brink of falling behind on your payments, the very first thing you should do is contact your creditor. Most creditors are happy to work out some sort of payment plan that will allow you to stay current on your debt. However, if your creditor won’t work with you, then you may want to consider taking out a personal loan to ensure your payments aren’t late. Of course, this method only works if you can then make your loan payments on time, so it’s best reserved for short-term, non-recurring financial difficulties. In the event you wind up with late payments reported to the credit bureaus that you know are inaccurate — such as for debts you can prove were paid on time, or debts that are not your own — be sure to dispute the items with the credit bureaus immediately. You can do this yourself or contact a professional, like Lexington Law Firm, to handle it for you. Appliances break. Cars need repairs. Unexpected medical expenses arise. As much as we try to plan for these scenarios, we don’t always have an emergency fund set aside that is substantial enough to cover life’s little surprises. When unexpected expenses pop up, many consumers turn to their trusty credit cards to absorb the blow — or, worse, they open a new credit card in an attempt to spread out the damage. But, before you rush to open a new store credit card to replace an appliance or get a new alternator, it is important to consider the real cost of your easy financing. Many store credit cards have interest rates over 25%, which means your $500 refrigerator can end up costing you a lot more in the long run. Instead of racking up more high-interest credit card debt, consider using a personal installment loan when you need to finance a big purchase. Lower interest rates often available on personal loans mean lower monthly payments and major savings on interest, thus allowing you to pay off that new appliance or car repair in far less time. While the modern world may be full of financing options, few are as flexible as the personal installment loan. You can pay off a high-interest credit card and also make a much-needed car repair, for example. Additionally, a personal loan doesn’t require any collateral, so you are not putting any of your personal assets — such as your car or your home — at risk. Often times a personal loan offers a lower interest rate compared with other types of loans. Furthermore, a personal loan can even help your credit score by adding to your credit mix. Creditors like to see that you can responsibly handle a variety of credit types, and your credit diversity can count for up to 10% of our credit score calculation. While personal installment loans are not the best choice for every financing need, they definitely deserve consideration in many situations. Not only can a good personal loan help you out of a financial bind, but they even have the potential to save a little money while you’re at it.